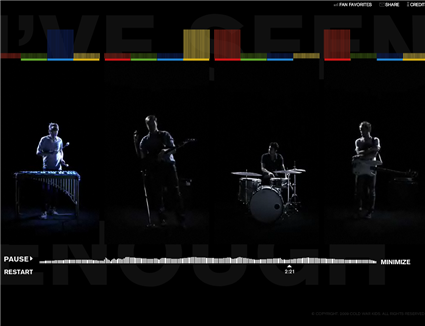 This is great fun (here) – turn the band members on or off and change the instrument they’re playing (using the coloured bars at the top). In theory I this would give you about 256 different versions of the same song. Next story Muscle March – Wii game from another dimension.